Believe it or not, there is a Mouchette in the infamous film “Last Tango in Paris” by Bernardo Bertolucci and she is played by Catherine Breillat, who will become later a very controversial film maker making films dealing with sexuality. On this film still she is seen with her sister Marie-Hélène Breillat, a renown french actress in that time, as if she was her mirror image. In the film, the two sisters are called Monique (Marie-Hélène Breillat) and Mouchette (Catherine Breillat). The film Mouchette by Bresson was shot only five years before Last Tango in Paris. Who got the idea of using this name undoubtedly in reference to the Bresson film? Was it Bernardo Bertolucci? 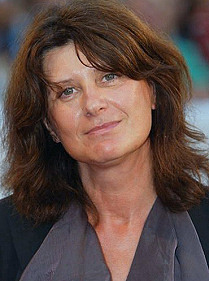 Or Catherine Breillat? Or possibly Agnès Varda who wrote the dialogues of the film? 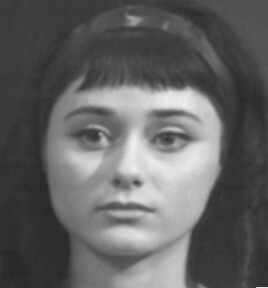 Here is what Marie-Hélène Breillat looked like in 1968 in a film called “La Forêt Noire“. So what happened to “Nadine Nortier”? She didn’t play in any other film than Mouchette. Nadine Nortier was probably not her real name, and nobody knows who she is now and what became of her. Sometimes people dream of finding her again, like this film director Bertrand Bonello, who came to my website some ten years ago, convinced that I was this person who played in Mouchette long ago and made this Mouchette website for this reason. I even created once a page related to this possibility, hidden somewhere deep in my website, which can make people believe that I am this girl who played in the film Mouchette. Bertrand Bonello had decided that I was this “Nadine Nortier” and that he wanted to hire her as an actress for his next film. I had a hard time convincing this film maker that I wasn’t Nadine Nortier and felt annoyed that he wasn’t interested at all in the website as a work of net.art. I see he has called his daughter, born in 2003 “Anna Mouchette”. And this is what everyone does with their obsessions when they are unfullfilled: pass them on to the next generation! This is what Catherine Breillat looks like now, and perhaps this could be what “Nadine Nortier” could be looking like at the present time.